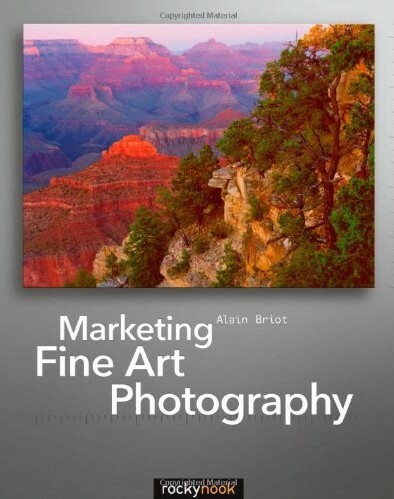 As the title suggests this rather comprehensive book is all about marketing fine art photography in order to generate an income from your work. It’s quite a large format and very comprehensive. In the past I have read other books by Alain Briot but have felt they left me a little lacking in the practical aspects of how to apply the information. This book is completely different and is very practical in its orientation. I should also point out that I am now on my second reading of the book. The first time I read it, I didn’t really "read it" and at that point I would have given the book 7/10. On this second review I am taking my time to read the book slowly and think about its sections. For example, it’s taken me a few days to read the section on "What Makes Fine Art Photography" as I paused to make notes, contemplate and think about my own work. The result is almost like peeling away the layers of an onion. Each time I think I am going deeper there is another layer uncovered. There are only really two downsides I see to this book and hence the 9/10 rating. The first is that the book is geared towards working the American market. I fear the UK market is different and perhaps harder to crack with less acceptance of photography as art. Everyone in the UK seems to think they are a photographer because they have a camera and can produce great work because it's an expensive camera. The other aspect is that the book presents Alain’s approach as being the only way to do it; this might not be for you. Despite this the book is packed with sound business advice for photographers. A great book for those interested in generating income from Photography.